Are you looking for clever kitchen designs? Then this kitchen wall decal may be exactly what you’re looking for. 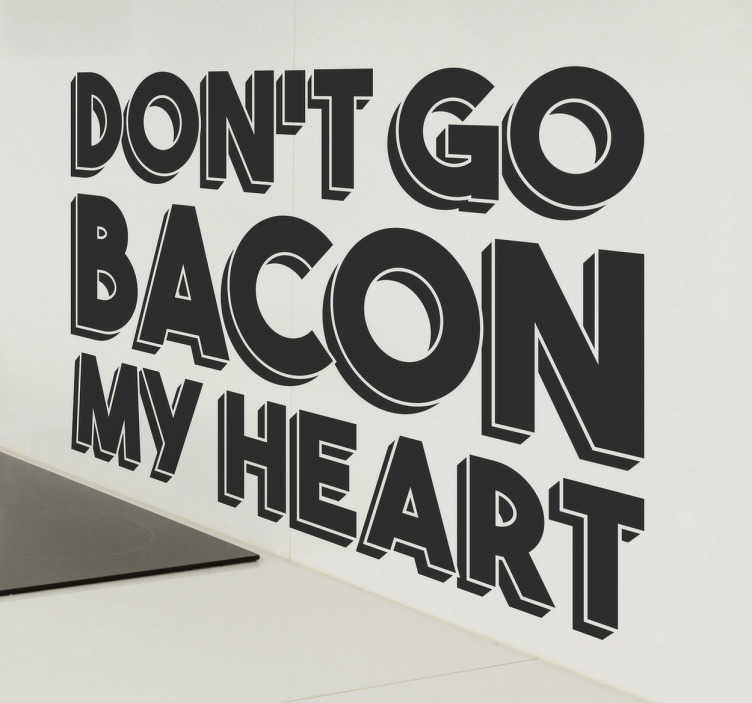 This kitchen wall sticker consists of the phrase "Don't go bacon my heart", derived from the song don’t go breaking my heart.